You asked us a question. Is it true that elephants can't jump? Yes, it's true. Adult elephants just aren't built to jump. 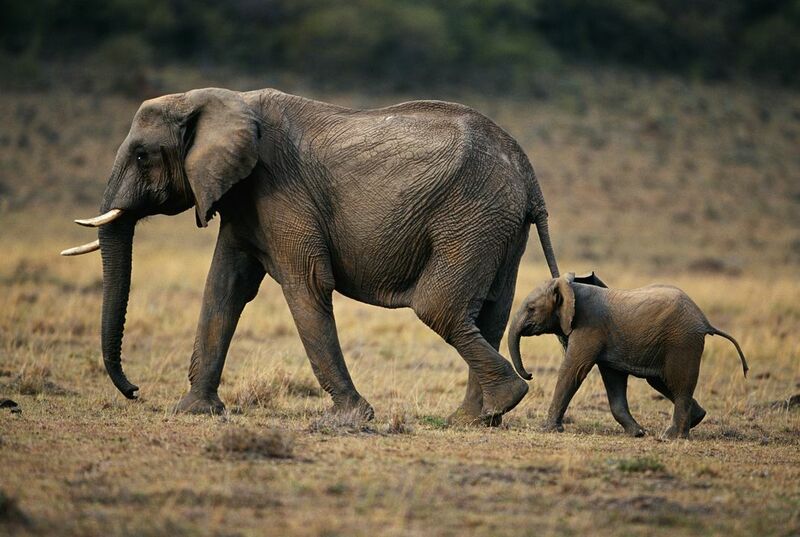 Elephants often weigh 16,000 or more pounds. They're too heavy to make the leap. Not only do they not jump, elephants never get all four feet off the ground at once. That is even true when they are charging at full speed. So, technically, I guess, elephants don't actually run. They power walk. 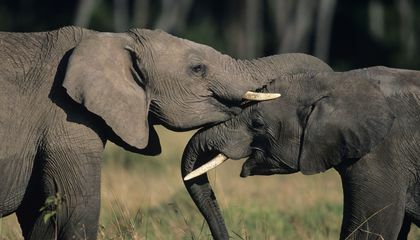 elephants never need to learn how to hop because the great leapers of the animal kingdom often evolved that skill as a way of avoiding predators. But nothing in an elephant's environment, at least in their recent evolutionary past, required them to hop around. They can't jump because they weight 16,000 pounds or more.Also because elephants are earthbounders.Finally because they can't get all 4 feet on the ground. The elephants never need to learn how to jump because they are big animals. Even at full speed they cant lift all 4 legs. These big animals can weigh up to 16,000 pounds. They don't need to learn to Leap because the great leapers of the animal kingdom often envolved that skill as a way of avoiding predators.But nothing in an elephants environment,at least in their recent evolutionary past,required them to hop around. Elephants never need to learn how to hop because nothing in the elephants environment can clearly attak an elephant and they also weigh 1600 pounds.That's also because they caught hop,the elephants weight.Since they can't jump so they can't run.What elephants do is power walk. They are not build to hop . The elegant power walks .So they can't lift all four legs off the ground.They even can't run. They don't need to learn how to hop because the great leapers of the animal kingdom often evolved that skill as a way of avoiding predators.nothing in an elephants environment.at least in their recent evolutionary past.required them to hop around.